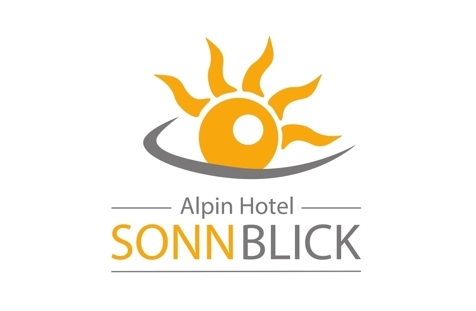 Welcome to Alpin Hotel Sonnblick**** at Percha in Pustertal Valley! 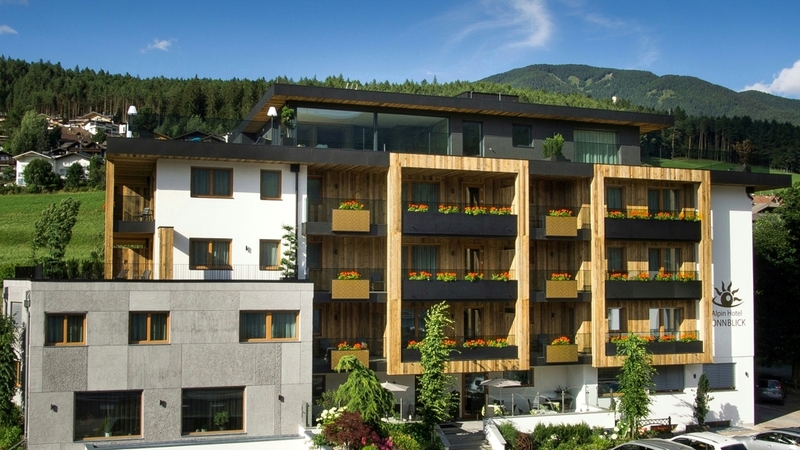 Alpin Hotel Sonnblick**** is located in Percha, a fraction of Bruneck, directly at the foot of Mt. Kronplatz, South Tyrol. Our hotel is located in the heart of the Dolomites, surrounded by a unique mountain landscape.Upon entering our hotel you will feel a pleasant sensation of well-being and peace that will make you feel right at home and will accompany you throughout your holiday! In our bar, in the traditional "Tyrolean Stuben", in the lounge with a fireplace, in the library, on the terrace or in the garden ... you can feel the love for detail and the hospitality of our family. After a day outdoors, you must to spend a few pleasant hours in our new wellness area which offers a salt water outdoor relax pool, indoor whirlpool, bio sauna and herbal steam sauna, Turkish steam bath, an infrared cabin, relaxation room with water beds and Kneipp. Additionally you can relax in our new Skylounge on the roof with panoramic sauna, infrared cabins, relax room and sun terrace with swimming pool. Of course, we offer also the possibility of making various beauty treatments and massages. Whether summer or winter, the peak of Mt. Kronplatz is easily reachable with a new and modern cable car and it opens to you a world of offers: hiking, downhill, skiing, cross country skiing, paragliding, snowshoeing, sledding are just some of the activities you can do during your vacation at the Alpin Hotel Sonnblick! From our hotel you can easily reach also the National Park Rieserfern-Ahr, the Sexten Dolomites, Nature Park Fanes-Senes-Braies, the mountains of Val Casies and the Carnic Alps! Cosy, homely double room with view to the Plan de Corones furnished with light oak , wooden floor, balcony, sitting corner or sofa, minibar, flat screen satellite TV, radio, telephone, internet connection, safe, bathroom with shower, toilet, hairdryer and bidet. Cosy, homely double room with garden view, furnished with light oak , wooden floor, balcony or terrace, sitting corner or sofa, minibar, flat screen satellite TV, radio, telephone, internet connection, safe, bathroom with shower, toilet, hairdryer and bidet. New build, homely double room chalet style with garden view, furnished with light oak, balcony, wooden floor, sitting corner or sofa, minibar, flat screen satellite TV, radio, telephone, internet connection, safe, bathroom with shower, toilet, hairdryer and bidet. Cosy, homely family suite furnished with light oak and wooden floor. The suite consists of a double room and a separated children's room. Our Junior Suite is equipped with sofa, minibar, flat screen satellite TV, radio, telephone, internet connection, balcony, safe and a bathroom with shower, toilet, hairdryer and bidet. Modern furnished double room, new build in spring 2018 with wonderful roof garden (appr. 40m²) with panorama view, furnished with light oak , wooden floor, sitting corner or sofa, minibar, flat screen satellite TV, radio, telephone, internet connection, safe, bathroom with shower, toilet, hairdryer and bidet. Spacious family suite in our dependance - 300m near the hotel with two double rooms and a separate living room. The suite is furnished with larch wood and wooden floor and has a private garden, a free parking garage and a sun terrace with valley view. It is equipped with sofa, flat screen satellite TV, safe, radio, free glass fiber Wi-Fi, fridge and bathroom with shower, toilet, hairdryer and bidet.